Nintendo Download for July 26, 2012. A Month of Mario, a big Colors! 3D discount for the weekend, Wario Land, and five more new titles are up for grabs in this week's Nintendo Download! Editor's note: Added Theatrhythm DLC since it was online. If I was artistic and had an ability to draw, I would get colors 3d because I still have $5 and some change in eShop cash, but alas, I'm a terrible artist. I want both GB games and that sale on Colors 3D is tempting... dammit Nintendo, stop giving us good updates! EDIT: Theatrhythm DLC is already up on the website. Thanks. Added it to the OP. 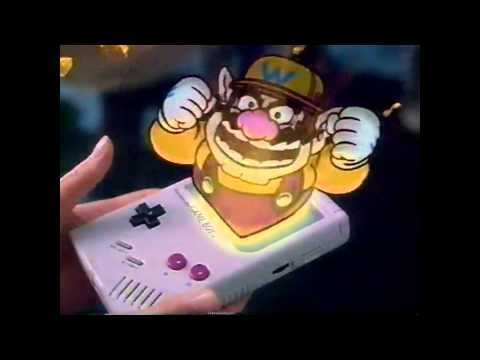 I hope Wario Land: Super Mario Land 3 is in 3D like it was on Gameboy! I hear ya. I've never tried Mole Mania, but for just $3 I may bite. If I add that and Wario Land, it's up to three on the GB VC alone (those two and Kid Icarus). I remember I used to love World Heroes, although it's essentially just another Street Fighter clone that isn't as good as Street Fighter. I guess I'll check out Wario Land, which everyone says is better than Wario Land 4, which I didn't really get into. Wario Land is very different from Wario Land 4. It's better IMO...one of my favorite GB games as a kid. There is some Neo Geo fighting game fan with a deal with a devil. Wario Land and Mole Mania will be mine! Man, that's four GB games in the past few weeks. This is how you run the eShop, Nintendo! I might just get Colors 3D for shits and giggles, and to see what my girlfriend and best friend who are both quite artistic can come up with. Dot Runner is the "spiritual successor" to GO Series: Picdun. I think it's an action/puzzle game of sorts. I'm intrigued, as I enjoyed Picdun, but this does look quite different. WTH that looks insane!? 1st person Pac-Man mixed with turned-based battles? I might have to download it just to see what the heck it's all about. Wish there was a demo. This should read; Wario Land: Super Mario Land 3. I'm almost certain they've sped up the navigating through the maze for that advert. I will be downloading it. I can't believe I JUST downloaded Go Series Picdun yesterday! GRRRR! Picdun is a dungeon crawler where you work your way through a maze-like structure down below but up above as the map becomes more fleshed out it will create a pictobits-style picture. I really don't know the significance of the picture you're creating other than perhaps the ability to determine where the maze will end up, but it is a fun romp. You're right, thanks for the catch. @anon_mastermind Well, it is 8-Bit Summer, there are GB games every week of July. I just hope that when the promotion ends, it doesn't mean that we see a huge drought of GB games like we did before. I'm definitely getting Wario Land at some point, and I may pick up Colors! 3D since it's on sale. Definitely getting Wario Land at some point, but my game capacity is at maximum right now. Oh, haha, it really looks like a real-time pac-man game in that trailer. First person pac-man would be so crazy and hilarious, someone should do it.